Typical application for MCA, MCB, MCF, MCL, and MCS valves is an emergency lowering device. 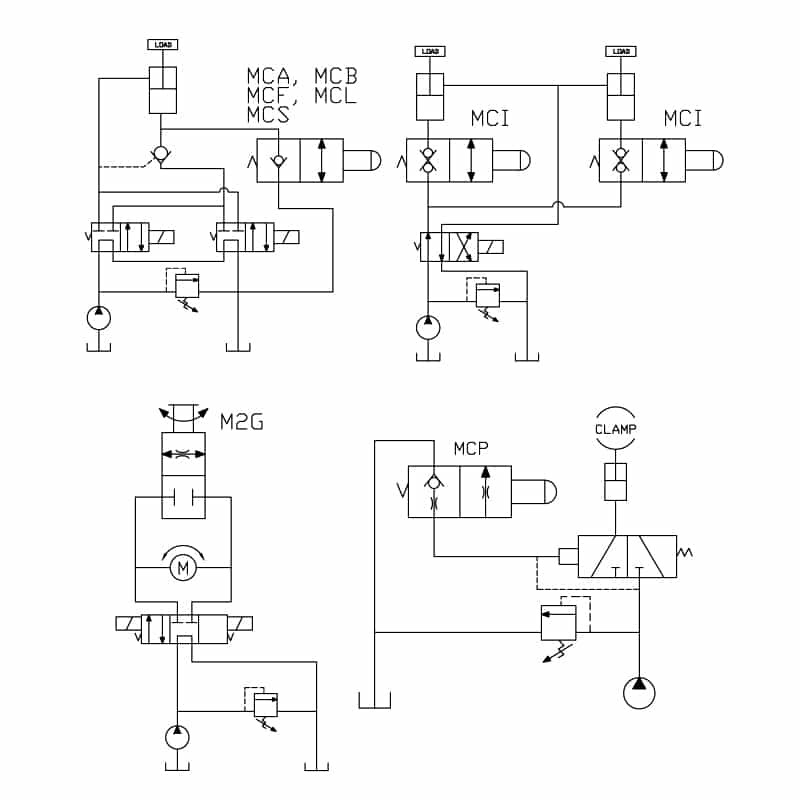 Typical application for the MCI valve is a selector circuit when load holding is required in both directions. 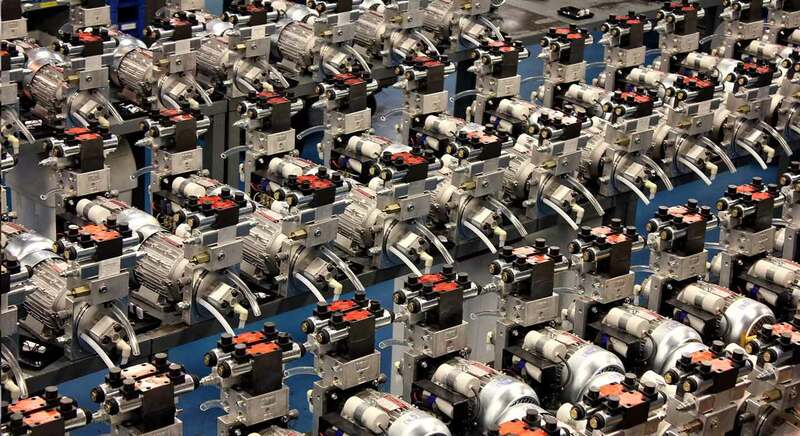 Typical application for the M2G valve is adjustable speed control or full bypass of fluid motor. Typical application for the MCP valve is a pilot dump valve.